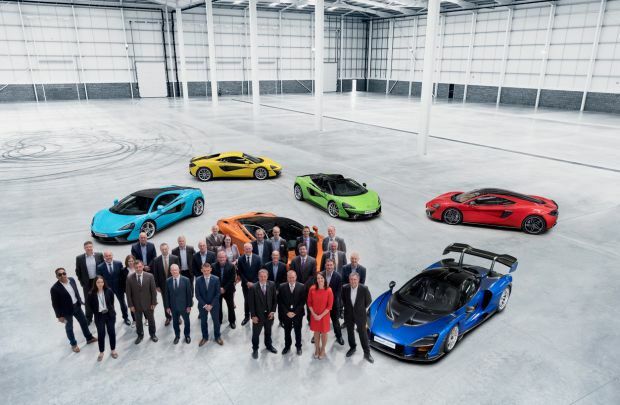 A significant milestone was reached today as the ‘key’ to the building that will house the new £50m McLaren Composites Technology Centre (MCTC) was handed over to McLaren Automotive ahead of final fitting out. The MCTC in the Sheffield region will be the Yorkshire-based facility where McLaren will innovate the process for making the ultra lightweight and strong carbon fibre tubs that are at the heart of all of its luxury family of sportscars and supercars. The building will now undergoe several months of fitting out which will see all the manufacturing equipment installed, including a giant press that will make its way from Germany this summer.